In my neck of the woods here in Maryland, today was on the dreary side. Too warm for snow, too cold for rain, today was just... slush. And that reminded me of yesterday! 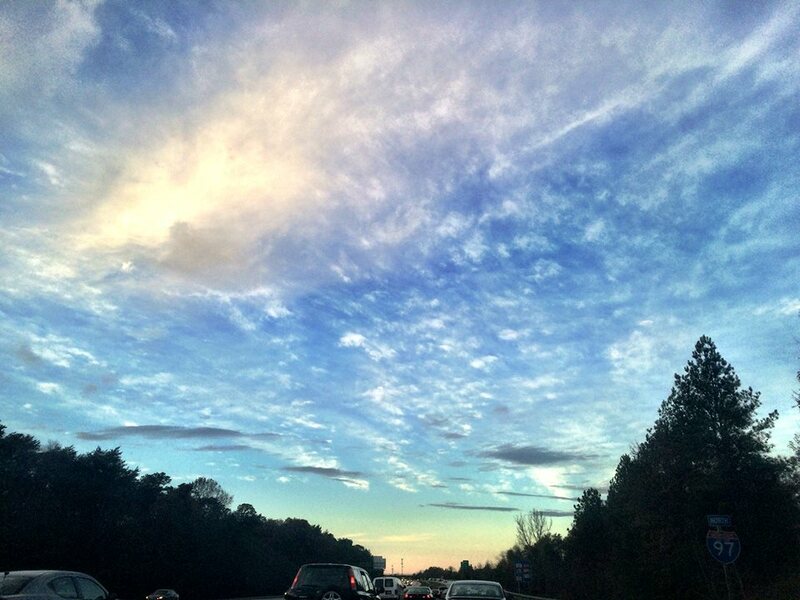 Driving home from a portrait session in Baltimore, I was struck by how interesting the clouds in the sky looked. I managed to take this quick snapshot. Afternoon sky, Baltimore, MD. Copyright Angela Ferguson Photography, 2014. It's amazing the difference that 24 hours can make! Happy Thanksgiving, everyone!